The University of Richmond’s moral history is long, but it, too, bends towards justice. Established as a Baptist institution to train young men for the ministry, UR has become a nationally and internationally recognized top liberal arts college, committed in word and action to admitting students of all backgrounds. 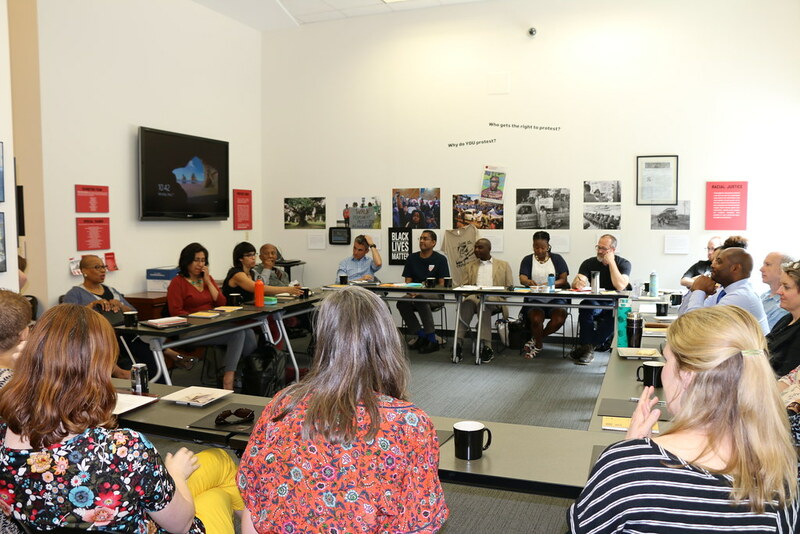 Supported by a Mellon Foundation grant, a group of faculty recently spent a week engaging this topic at the University’s first Arc of Racial Justice Institute (ARJ). 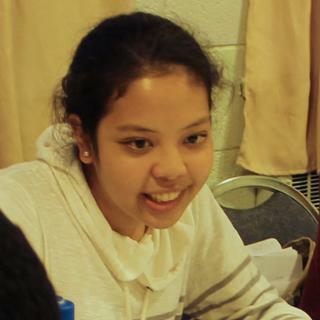 ARJ was centered on the belief that we have to know our institution’s history in order to change our future. “We envisioned ARJ as a space for faculty to come together to learn from each other, share expertise, and contribute to the building of a supportive environment in order make UR a place that centers on racial justice,” said Nicole Maurantonio, associate professor of rhetoric and one of the Institute’s organizers. 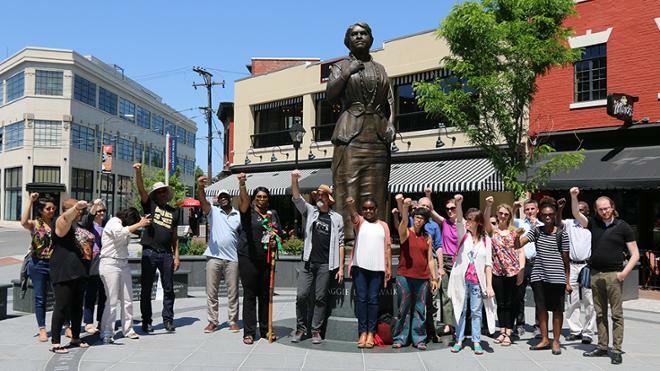 The Institute grounded the study of social and racial inequality in place-based exploration through the lens of the city of Richmond, the former capitol of the Confederacy, with a 400-year history of racial justice and injustice. 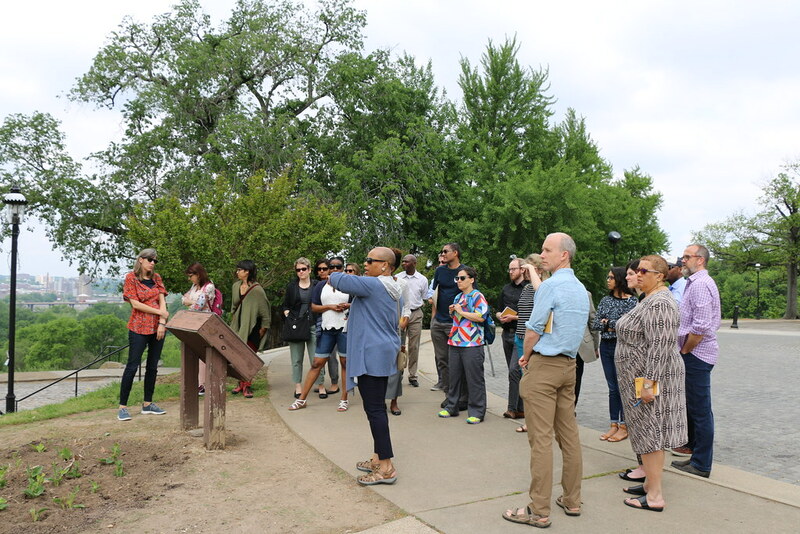 Participants walked on sacred ground, visiting the sites of Richmond’s Slave Trail and East End Cemetery, an African American burial ground dating back to 1897. They visited the often controversial monuments to the Confederacy. 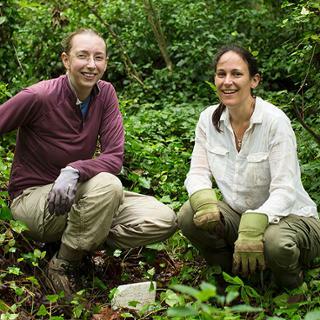 They participated in a public history art project with local organization, Untold RVA. 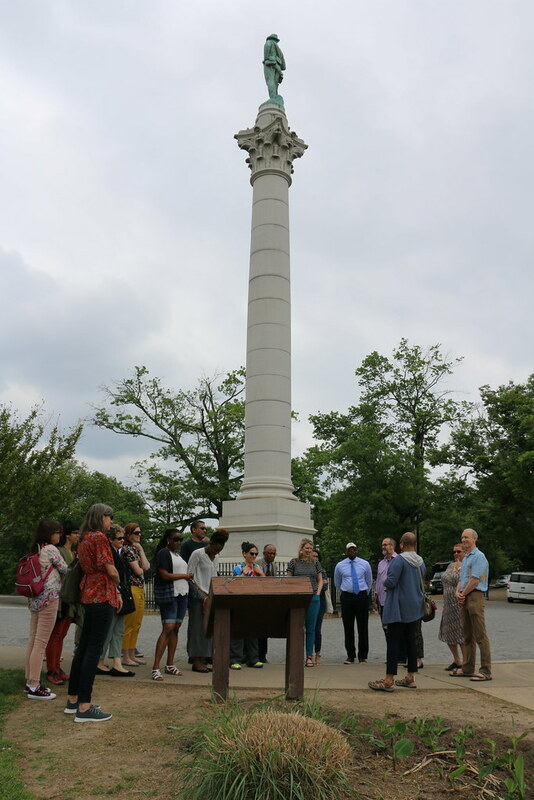 And along the way they heard from experts who provided context on the city of Richmond and the University of Richmond’s storied and often challenging past. 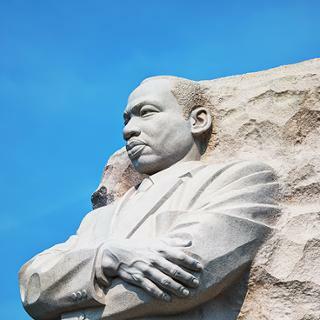 How can issues of racial justice and inequality be incorporated into the curriculum? How can we change the campus culture for students and faculty of color? How can faculty and staff make a safe space for students when they themselves don’t always feel safe? And while they may not have come up with all the answers, they each came away with a personal action plan as to how they could contribute to the greater effort of making UR more racially just, and a commitment to work together to affect change on campus. Each ARJ faculty participant has plans for how they might incorporate racial justice into their existing scholarship and teaching.